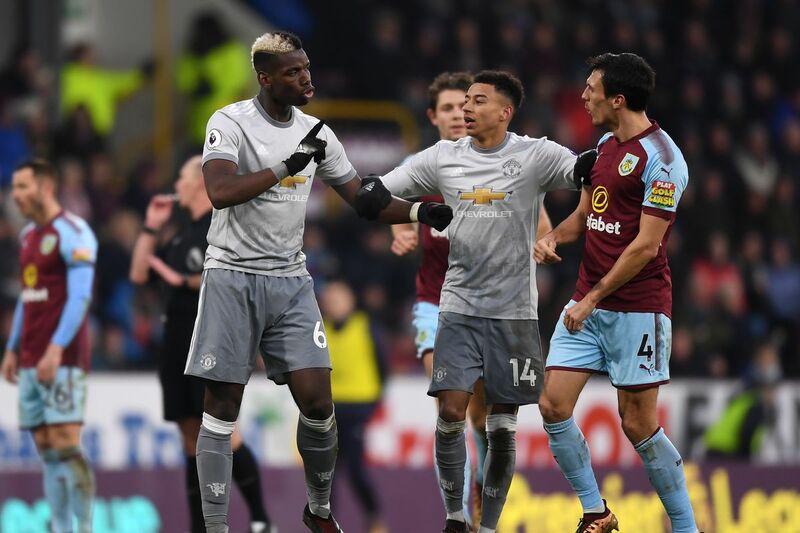 It was another calamitous match for United last time out but a trip to Burnley prior to the first international break of the season offers a chance to renew some confidence. Once again the pressure is on José Mourinho after another week of speculation, whilst – after being knocked out of the Europa League on Thursday evening – Sean Dyche’s men aim to make Turf Moor a fortress for another year. Two teams desperate for a boost meet to close out the opening stint of the campaign. Using two flat banks of four, the hosts take a stable approach to avoid much exposure. As a result of those conservative tactics, the side often lacks goals if possible outlets – the likes of Gudmundsson (possibly out due to injury), Aaron Lennon, Ashley Barnes, Sam Vokes and main man Chris Wood – are kept with their backs to goal. However, their physical attributes throughout the team allow for set-pieces to be taken advantage of. The well-documented back line is no longer set-in-stone as centre backs Ben Gibson, Ben Mee and James Tarkowski all fight for just two spots between full backs Matthew Lowton and Stephen Ward. A decision is to be made between the sticks too, club captain Tom Heaton (a former United youth man) and Joe Hart have been rotated thus far this year – whilst injured star Nick Pope is out. Due to not putting up much of a fight in their second leg in midweek with a weakened side, they will undoubtedly be up for this one. Defeat at home gave the team Bank Holiday blues but José Mourinho became a fiery hot figure during his infamous press conference, leaving the room repeating “Respect. Respect. Respect.” and discussing the trio of Premier League titles to his name following some verbal combat with the present journalists. A shining light during this campaign has been Luke Shaw, and he was rewarded with a call-up for England in midweek – even gaining some praise from his usually critical manager. The much-maligned early season international break will likely be a welcome relief for some players; with a number of them playing for their country next week. Injured pair Sergio Romero (full game) and Diogo Dalot (a “special” 79 minutes) played at Old Trafford on Friday evening for the U23s in a 1-0 win as they near the end of their respective recoveries. Error-laden centre backs are rife in the squad with Chris Smalling and Victor Lindelöf the most likely start – although Eric Bailly may return to the squad. Paul Pogba may be dropped if Mourinho opts for a 4-2-3-1 formation as Nemanja Matić and Fred (who shone in a box-to-box role last season in that system) could play as a midfield pairing. Either one of Anthony Martial (rumoured to have stunningly agreed a new contract) and Marcus Rashford may be given a chance out wide to give the reds some attacking flair and guile. Jesse Lingard ran around 15km in Monday’s game and that work rate could be key to unlocking the stable opposition. Alexis Sánchez has been left out of his Chile national side for their upcoming fixtures but he should return to the starting lineup for this one.